The College of Medical Laboratory Technologists of Ontario (CMLTO) exists to protect the public’s right to safe, high-quality health care through self-regulation of the medical laboratory technology profession. Who protects your right to quality test results? Medical laboratory technology is a self-governing health profession in Ontario under the Regulated Health Professions Act, 1991 (RHPA). In Ontario, all regulated health care professionals, like MLTs, doctors, nurses, physiotherapists, chiropractors and others, belong to regulatory Colleges. The College of Medical Laboratory Technologists of Ontario was established by the Medical Laboratory Technology Act, 1991 (MLT Act). The CMLTO is not a teaching institution. It is a regulatory body that exists to ensure the public receives quality laboratory services from competent and ethical professionals. Although its membership is comprised of MLTs, the CMLTO, like all regulatory Colleges, has a clear “duty to serve and protect the public interest”, as stated in the RHPA. As regulated health professionals, MLTs are held accountable for their conduct and practice. The legal powers and duties of the CMLTO are set out in the RHPA, the RHPA Procedural Code, the MLT Act, and all of their regulations and Consolidated Bylaws (PDF). How does the CMLTO carry out its public protection mandate? The objectives of the CMLTO are defined by the Ontario government in the RHPA. To regulate the practice of the profession and to govern the members in accordance with the health profession Act, this Code and the Regulated Health Professions Act, 1991, and the regulations and by-laws. 4.1 To develop, in collaboration and consultation with other Colleges, standards of knowledge, skill and judgment relating to the performance of controlled acts common among health professions to enhance interprofessional collaboration, while respecting the unique character of individual health professions and their members. To develop, establish and maintain programs to assist individuals to exercise their rights under this Code and the Regulated Health Professions Act, 1991. To administer the health profession Act, this Code and the Regulated Health Professions Act, 1991, as it relates to the profession and to perform the other duties and exercise the other powers that are imposed or conferred on the College. Any other objects relating to human health care that the Council considers desirable. 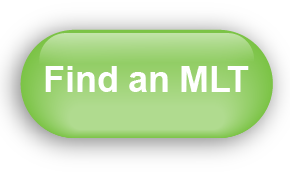 Are there professional standards for MLTs? The CMLTO Standards of Practice promote the continuing competence of MLTs by setting out the expectations of practice against which members can identify opportunities for improvement. Is there a code of conduct for MLTs? The CMLTO Code of Ethics provides a moral framework for the professional and personal conduct of all MLTs.